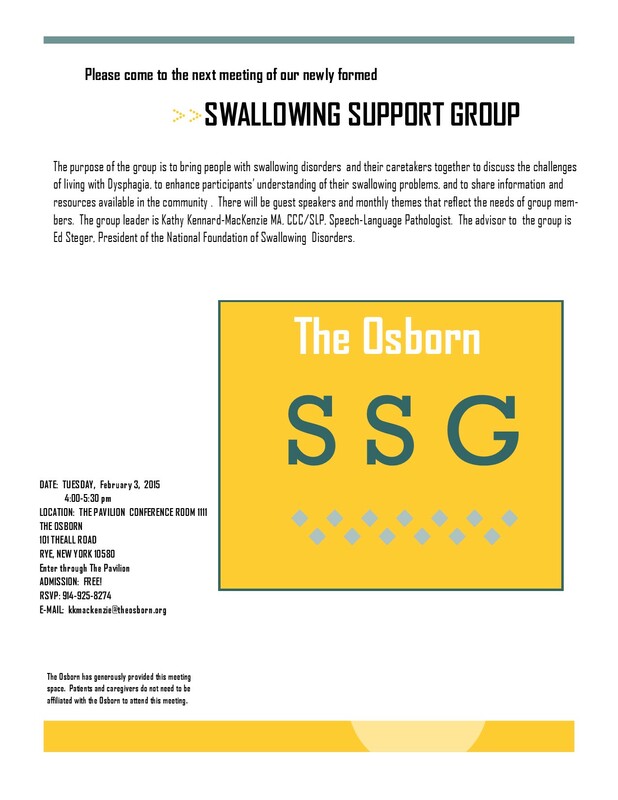 The next swallowing support group at The Osborn located in Rye, New York is scheduled for Tuesday February 3, 2015 from 4:00 to 5:30 PM EST. Details are in the flyer below. Email Kathy Kennard-MacKenzie for additional information and to confirm meeting date. Attendance is open to the public and is FREE!